Buy Two Tway Calling Personal Gsm Gps Tracker With OLED Screen From china top quality wholesale online shop. Have a look at this new style Personal Gsm Gps tracker, It features with crystal clear OLED Screen and powerful SiRF Star III chipset. By mean of its OLED Screen, You can get the accurate and reliable GPS information. 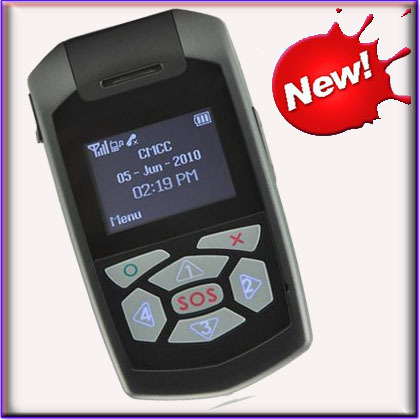 Besides, it also supports two way calling function, By the p to pre-set 4 numbers and SOS number on the personal gps tracker, it can realize fast and emergency communications. What is more, It is with Quad Band GSM connectivity, that is to day, this two way gps tracker can be used all over the world.Low power consumption, long standby battery life and Included software makes the Personal GPS Tracker extremely easy to track/manage. Now This security gps tracker can be available from china top security Online Shop OnwinCCTV.